You are guaranteed to experience an unforgettable day together. 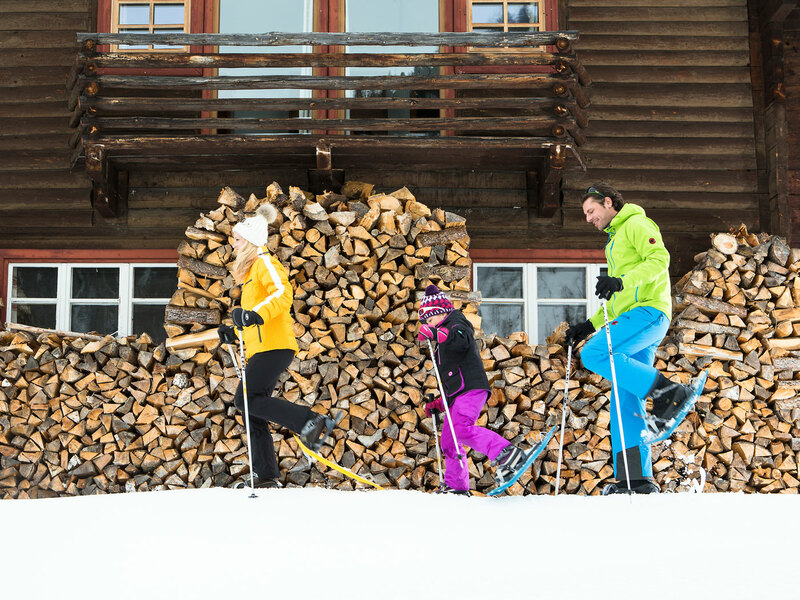 As of December, we’ll start out for 72 km of slopes spanning 15.000 vertical meters . Every Wednesday is a day of superlatives. 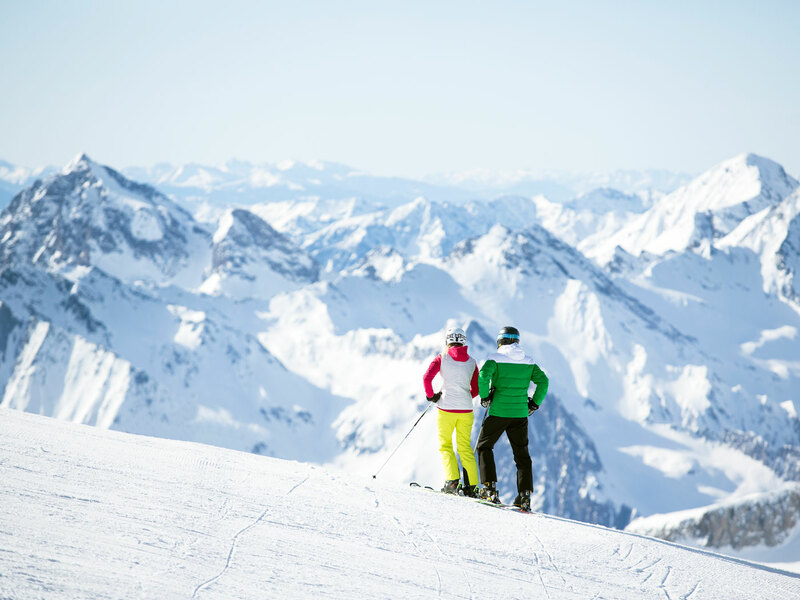 Toni will guide you through the "Ski & Glacier World Zillertal 3000". 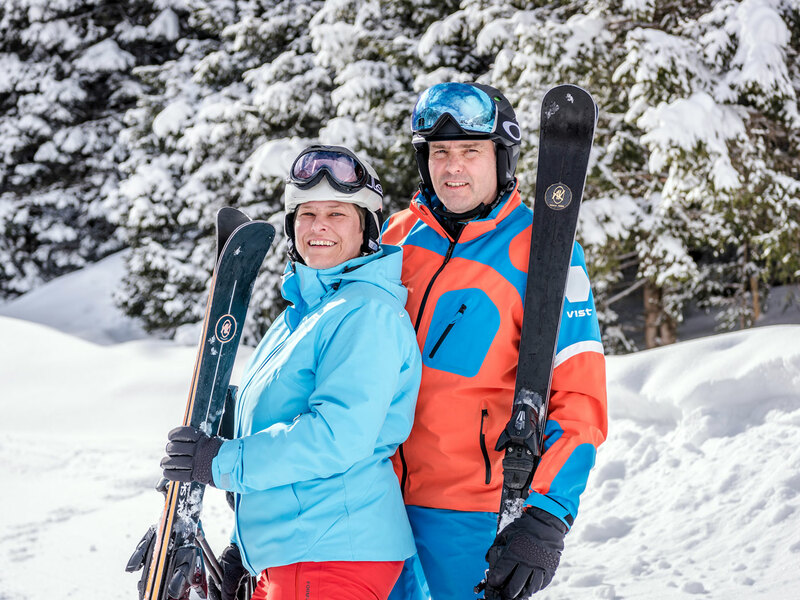 Skiing is what it’s all about. In spring, depending on snow conditions, you’ll have an opportunity to tackle those pristine slopes of “firn” snow. 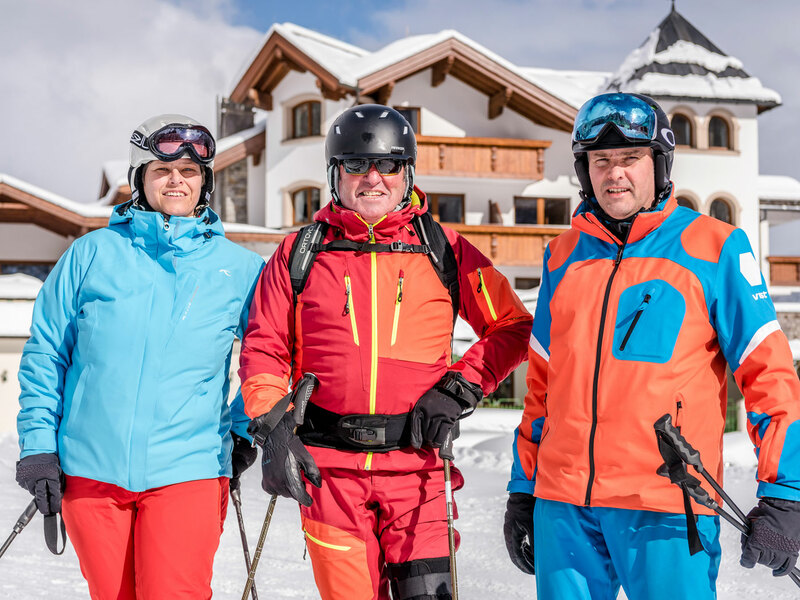 Together with Toni, who will supply you with touring skis and skins free of charge, you will be able to experience skiing in its most traditional form. The panoramas are breathtaking and those endorphins will be swirling around in your body like a snow storm! So, after our dinner, we’ll take a leisurely torchlight walk to Hintertux and back. Popular with young and old alike – after all, who doesn’t like to hear the crunch of snow beneath their feet? The torches shed a warm light upon our path. Holidays the way they are supposed to be. Hike through our snow-covered Tuxertal. Countless quiet places await us for a rendezvous in the midst of the mountain world. The snowshoes are ready. You will experience the trend sport in a playful way and will certainly be thrilled. Fun and a good mood are guaranteed. 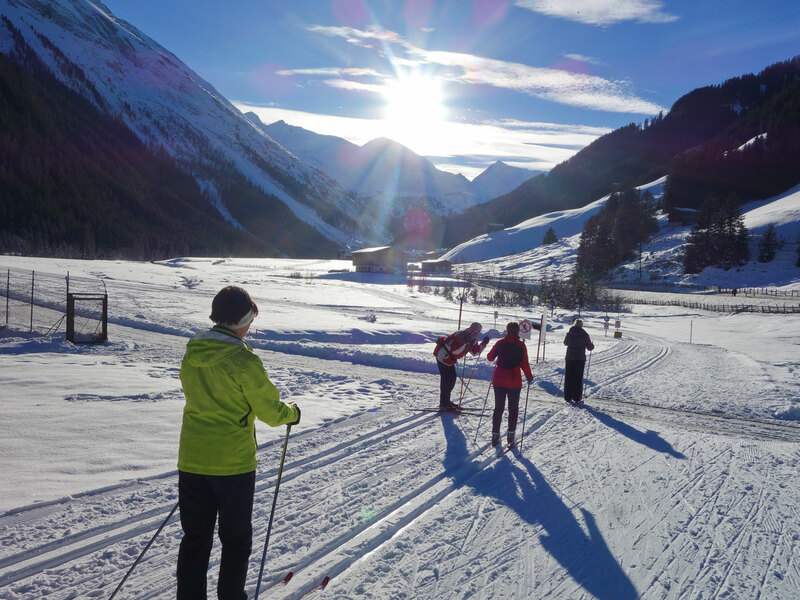 Our snowshoes are free of charge and always ready for use, explore a winter fairy tale in Hintertux on your own. Smallest four-star hotel in Hintertux - that was and is an opportunity for us! The chance to get to know and pamper each of our guests personally in our family-run hotel. Because we live and work with conviction beyond booking portals, travel agencies and bus trips. Instead of mass, every single guest counts in our house. Your satisfaction is our goal and the reward for our commitment and that of our long-standing employees. Therefore we can rightly claim that we are also very much looking forward to your holiday with us!